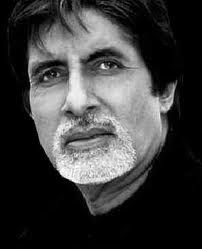 October 11, 2012 marks the 70th birthday of one of the doyens of Indian film and Bollywood — Amitabh Bachchan. DNA lists 10 landmark films out of more than 100 great movies that the superstar has acted in. Just as wine gets older with age in the same way Amitabh Bachchan’s film career has seen ups and downs and has improved with time. He has played a wide range of roles with ease and succeeded in making his fans appreciate each of the unique character’s he has played. At 70, Amitabh Bachchan seems to be moving from strength to strength both as an actor as well as in the roles he chooses to play. Amitabh Bachchan is the most nominated actor in Bollywood with 37 Filmfare nominations, and this film in which he plays the role of a doctor who has a cynical view about life and the nation, earned him not just one of his first nominations but also his first award. Playing supporting actor to Bollywood’s first superstar Rajesh Khanna, Bachchan, in this film, gave a performance that would go on to define him in the years to come — ‘the angry young man’. Furthering his image of the angry young man, Amitabh Bachchan plays Vijay Verma in Deewar, who goes from being a boot polish boy to a dockyard worker to an underworld smuggler. 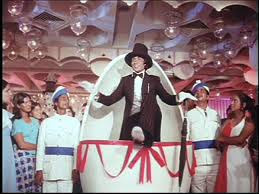 The film won many accolades for Yash Chopra, the director, as well as Bachchan, who seamlessly played his character. 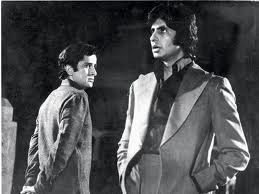 From his arm branded with 'mera baap chor hai' to the anti-climax where Amitabh counts his property to Shashi Kapoor...a lot of elements of the film are unforgettable. 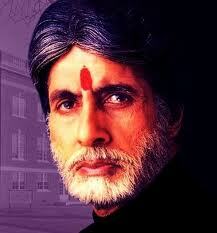 This Manmohan Desai film witnessed the versatility of Amitabh Bachchan as an actor. 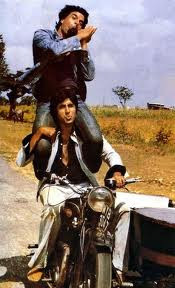 In this film instead of playing his usually angry man role, Bachchan played the role of Anthony — one of three brothers who get separated in their childhood. As the Christian Anthony, Bachchan is very convincing, getting into the skin of his character as he depicts the body language and way of talking similar to that of the community his character represents. The film went on to be a big hit and earned him his first Filmfare award for best actor. 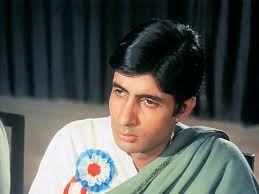 In this film, Amitabh Bachchan plays a double role that of Vijay, a lookalike of an underworld don and the Don himself. 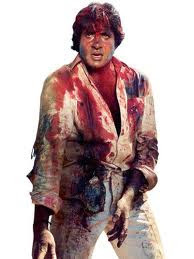 The film fared extremely well commercially and Bachchan’s acting as two characters with very different personalities earned him his second best actor Filmfare award. The movie later went on to be remade starring Shah Rukh Khan, which was followed by a sequel. "Vijay Deenanath Chauhan naam tho suna hoga". An immortal dialogue from this blockbuster film ensured that Amitabh Bachchan, who was on a comeback route after a sabbatical of sorts, would not just be remembered for a decade but also beyond. The film did not do well commercially, but it became a cult and the acting prowess that Bachchan displayed in the film was rewarded as he won his first National Film award for best actor. As Tiger the man on a mission and later Shekar the man who is being chased, Amitabh Bachchan proved many of his critics wrong as he delivered yet another hit and steller performance that won him a Filmfare award for best actor. 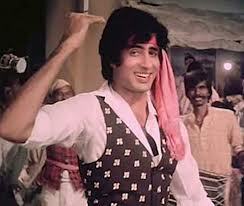 This romantic-musical that saw many newcomers, Amitabh Bachchan played the role of the principal of a university. As an authoritarian figure, the veteran actor was paired for the first time with the superstar of the 1990’s Shah Rukh Khan.The film earned Bachchan another Filmfare award, this time for best supporting actor. The film was a hit thanks to the powerful roles played by Bachchan and Khan that formed the crux of the narrative. Playing the role of a teacher to a blind and deaf girl in the film, Amitabh Bachchan gave one of the best performances of his career that saw him win the Filmfare best actor award as well as his second National Film award for best actor. From the brilliant chemistry with Rani Mukherjee, to a stellar performance as a teacher of a deaf-blind girl...the movie was critically and commercially appreciated. 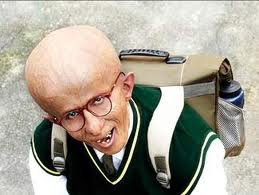 In a film that would give Amitabh Bachchan both the Filmfare and National Film award for best actor, he plays a 13-year-old with progeria, a disease that physically makes him look much older. Bachchan played the role of a child with ease and conviction reversing the roles with son Abhishek Bachchan who plays the father to Amitabh’s character Auro. When it comes to a man who excels in so many different ways, it becomes difficult to point out to just 10 of his best achievements. These films have been selected and compiled by our correspondent. If you don't find your favourite movies in this list, do leave a comment let us know which your favourite one.